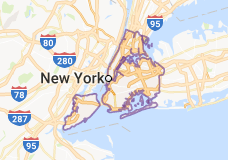 Here at BronxPrints we specialize in helping artists, and corporations located in the NYC metropolitan and tri- state area (Manhattan, the Bronx, Queens, Brooklyn, and Staten Island, as well as parts of New Jersey, and Connecticut.) We duplicate CD’s and DVDs, and package press kit CD that will show off your talent. Our quick turnaround, attention to detail, and professional business ethics put us ahead of our competitors.